TradFest Dublin Temple Bar from 22 January 2013 – 27 January 2013 is one of the city’s livliest Festivals with 6 days of traditional music, dance and street events. There are more than 200 free events, including a children’s club, street performers, pipe bands and much more. Lunchtime and evening concerts are being held in Christ Church Cathedral, St Patrick’s Cathedral and the City Hall. 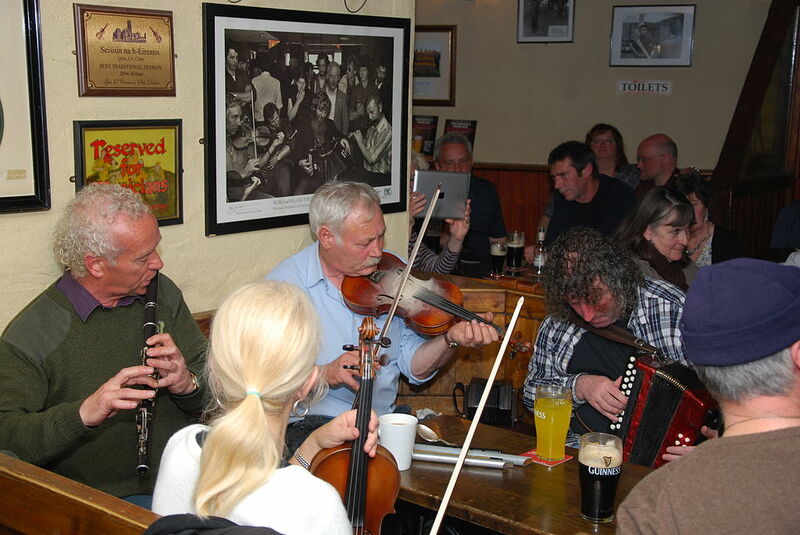 Some of the well known traditional musicians appearing include Martin Hayes & Dennis Cahill, Sharon Shannon, Seamus Begley and Maura O’Connell. Not all the musicians are strictly in the ‘traditional’ category, like Mary Coughlan who would be considered to be a jazz singer. There will also be choirs, buskers, dance groups and various other performers. Not to be missed is the West Ocean String Quartet with guests Maighread Ní Dhomhnaill Stephen Rea performing in St Werburgs Church. Also included are many lectures, workshops, walks, pub crawls and food events. For anybody who has the slightest interest in traditional music or street theater or festivals, the Temple bar tribe fest is a great occasion with days and nights filled with great music song dance fun and craic for all the family. It is a great opportunity for people to see and hear some of the top performers in the traditional genre and it can be a once-in-a-lifetime experience. For anybody who is traveling from around the country or from abroad for Tradfest Dublin there is plenty accommodation close to the festival. There are numerous good hotels of all grades and prices to be found within a few hundred meters of Temple bar. There are also some good bed and breakfasts nearby. Practically all the venues and streets for this festival are within easy walking distance and are all close to the city center so visitors would have no difficulty in reaching their destination.